Angelo, my father-in-law, who also at the moment functions as our contractor on site, sends us photos via email about the work progress. 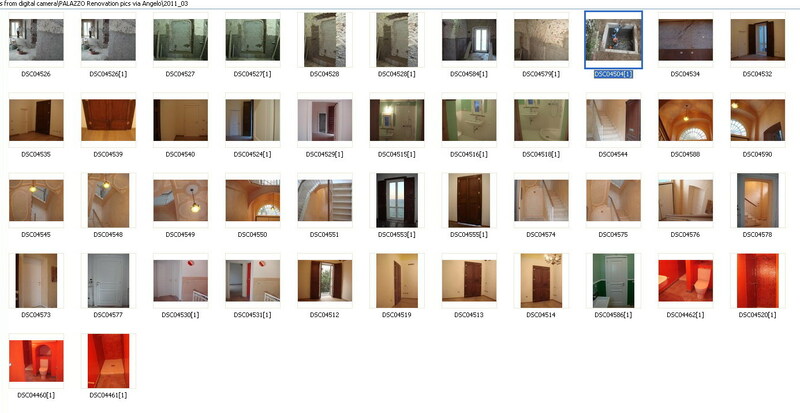 Sometimes I get several mails a day, each with a couple of pictures about different subjects or rooms and his comments. At the moment his reports are all positive about completion and progress. Very promising and inviting. We have gas for cooking, we have hot water for shower and heat for cold days. The screen capture above shows my "March File". 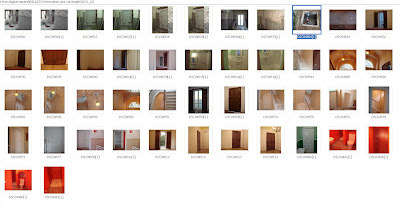 It shows thumbnails about the seminterrato where the walls were insulated, it shows a waste water pump in the garden, the renovated scuri of the windows of the primo piano, the actual status of the bathrooms, the new doors in different areas of the house and the finished stairways - which deserves a post of its own. Since the second week of March is always a busy week for me (birthday and anniversary celebrations) I had no time to update the blog. But now, I am back on track.